I've hunted through all my ID book but cannot find what this rascal might be - although the markings are distinctive enough. Can anyone help? Seen at Puerto Galera, on the reef, daytime. do you have a shot from the side as well? Could it be a anthias species? Sadly, no I don't have a side shot. I was actually aiming to get a head-on pic and never thought about trying to ID it! 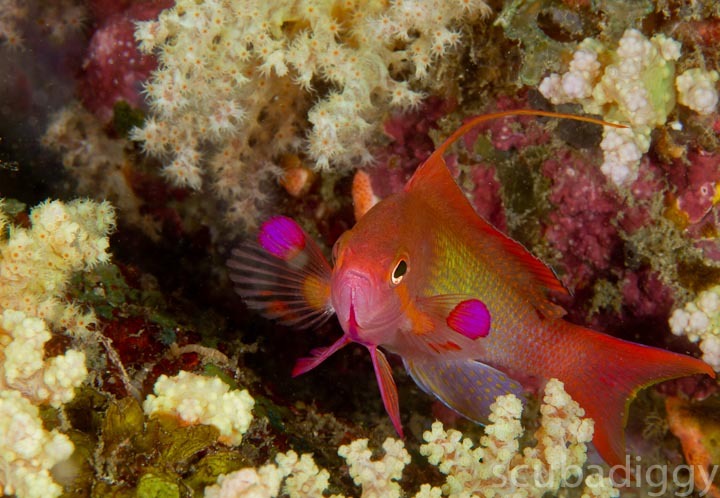 Anthias is a possibility for sure. It was Anthias/small Damselfish size. I think its an Anthia. I have a couple of pics of the exact same fish on my desktop at home, taken at Andamans, India. Will share this evening/night so that even i can know the ID. I found one image on my laptop. Is this the same fish ? 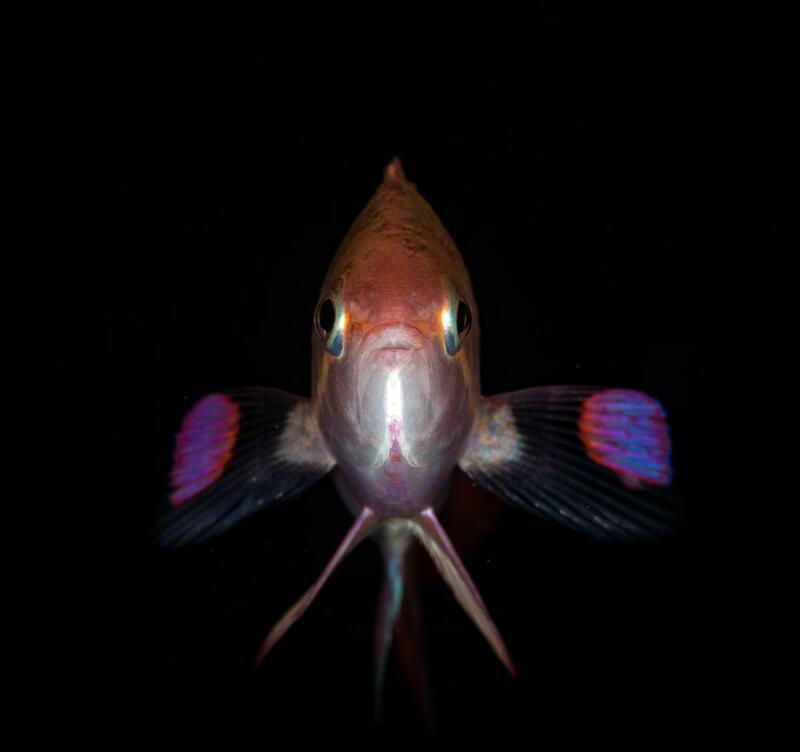 I think its a scalefin anthia. Thanks Diggy, yeah, could be. The colouration on the fins is certainly there.